6ix9ine biography, albums, wiki, concerts and stats - Musicazon! Daniel Hernandez (born May 8, 1996) professionally known as 6ix9ine or Tekashi69, is a Mexican-American rapper who is based in Brooklyn. Hernandez is known for his distinctive rainbow-themed look, tattoos, aggressive style of rapping, public feuds with fellow celebrities, legal issues, and controversial public persona. Hernandez rose to mainstream fame in late 2017 with the release of his debut single "Gummo", which was certified platinum by the RIAA. .
Do you love 6ix9ine? Please write something! 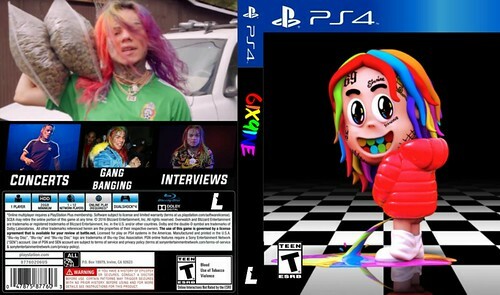 Sorry 6ix9ine album not found! @XXL: LISTEN: YG drops new song "Stop Snitchin" 🔊 He recently performed the song next to a picture of 6ix9ine. 6ix9ine concert, tickets & tour dates updating..